SPYDER Mahesh23 first look: The first look of #Mahesh23 is finally released. Ever since the news of Mahesh new movie with Tamil Director Murugadoss came out, the fans are waiting for the film. But sadly, no updates about the project were released till now. Even the title of the movie is not yet confirmed which made the fans angry. Initially, the first look was supposed to get released for Ugadi, but as Murugadoss didn’t like the design, he postponed. 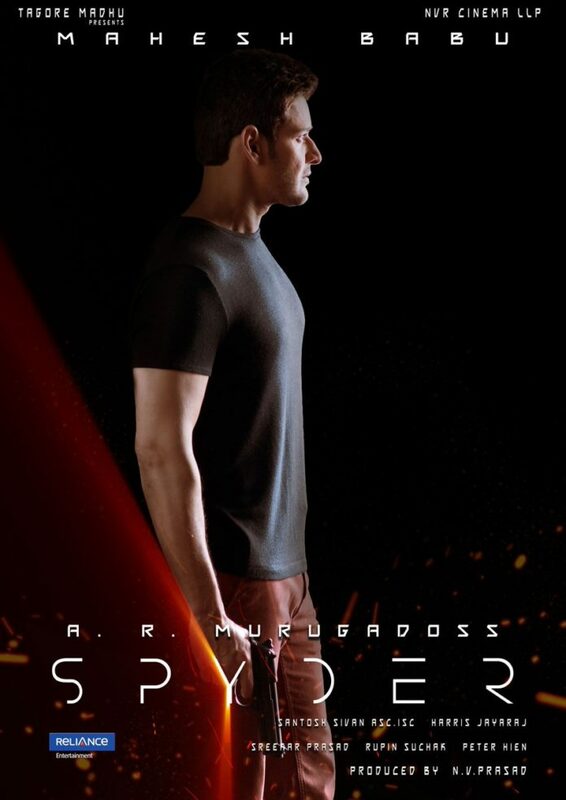 However amid high hopes and expectations, after months of waiting Mahesh Babu and team finally released the first look of the movie Spyder Motion Poster Released. Fans have eagerly waited and counted every minute on the clock for the Mahesh Babu-AR Murugadoss Movie First look to release. The film team did surprise the audience by confirming the title as “SPYDER” along with the first look. Murugadoss mahesh babu movie first look goes trending on Twitter with the hash tags #Mahesh23firstlook, #Mahesh23 #ARM11 #FirstLook12Apr17. Rakul Preet Singh for the first time pairing up with Mahesh in the movie. This is an action spy thriller in which Mahesh is playing the role of Intelligence Bureau Officer. Tamil Actor-Film Maker SJ Surya is playing the negative role in this movie. The film is rumored to be the reboot of Vijay’s Thoopaki movie in 2012. This bilingual movie is going to hit the theaters in both Telugu and Tamil languages which mark the debut of Mahesh in Kollywood. Watch and enjoy the Mahesh Babu New movie SPYDER first look poster here.